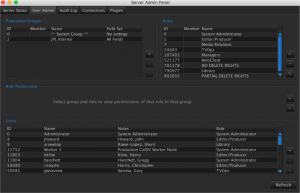 CatDV Server allows you to maintain a single, central database of all your catalogs and to access them from any CatDV client on the network, opening up CatDV and its powerful logging and database search functions to your entire production team. Each user can independently import and update clips, create new catalogs and add metadata, while the server keeps track and updates these changes across all the CatDV clients. 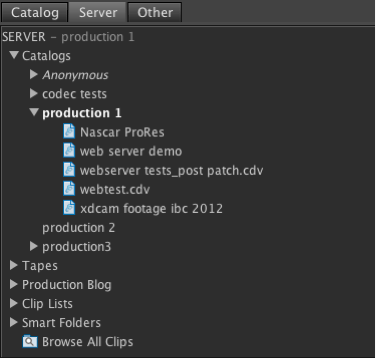 Catalogs are published to, and loaded from, the server via the Server panel. Multiple users can update the catalog so the user is always presented with the latest version. 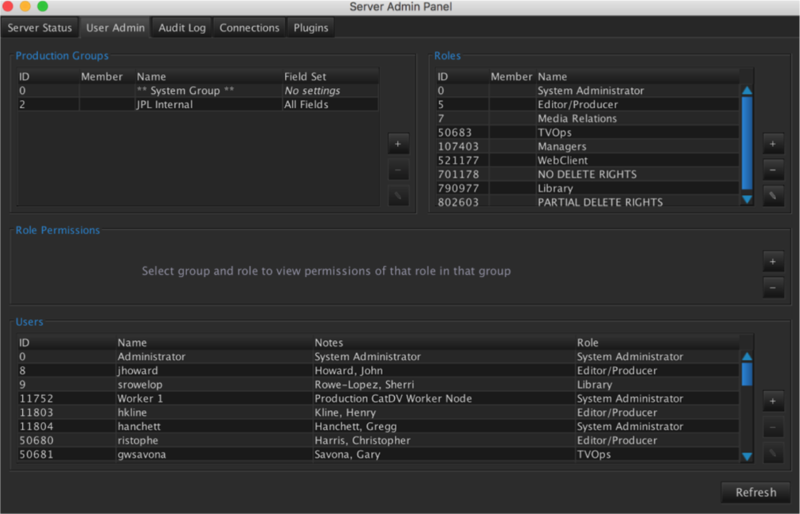 Using the Server Admin panel you can setup groups and roles for users allowing for flexible permissions control giving specific users individual access and admin rights.